May 23, 2016, 11:56 a.m. It is the “center of a Venn diagram” between BuzzFeed Motion Pictures and BuzzFeed News. By Joseph Lichterman @ylichterman May 23, 2016, 11:56 a.m. When you think of BuzzFeed video, you probably think of “27 Weird Things Guys Lie To Each Other About” or the Tasty recipe videos that have taken over your Facebook feed. BuzzFeed has made a huge commitment to building out its video capabilities, and funny and shareable videos have become its staples. The company launched BuzzFeed Motion Pictures in 2014. It now publishes 65 original videos each week, and earlier this year BuzzFeed CEO Jonah Peretti moved to Los Angeles, where BuzzFeed’s video operations are based. The company says it has more than 7 billion content views per month, with video counting for a majority of them across all platforms. While Goldman and BuzzFeed Motion Pictures previously worked with the news team on occasion, he and head of U.S. news Shani O. Hilton said his move to New York is a commitment from BuzzFeed’s newsroom that it wants to expand its video efforts. “A big sign of investment is that we’re now centering actual human beings who work on video in the New York office,” Hilton said. In addition to Goldman, another junior producer is also moving to New York. The team will also absorb some producers who were previously focusing primarily on viral and social video, and the company is also looking to add a handful of new hires as well. They will join the existing video team in New York that’s primarily focused on non-news content as well as live video. BuzzFeed is one of a handful of publishers being paid by Facebook to post Facebook Live videos, and it has been using that medium to share news video as well. There’s often been confusion about the setup of BuzzFeed’s video and news operations — including recently when a video produced by BuzzFeed Motion Pictures, “27 Questions Black People Have for Black People,” was widely derided online. BuzzFeed News staffers distanced themselves from it, and BuzzFeed ultimately apologized for the video. 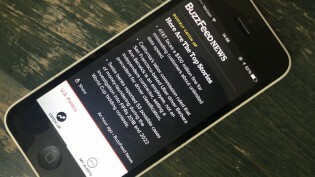 BuzzFeed News and BuzzFeed Motion Pictures are, and will remain, separate entities, but Goldman said his team would be the “center of a Venn diagram” between the two organizations, and all BuzzFeed Motion Pictures–produced news video will abide by the newsroom’s editorial standards, he said. The team’s mandate is to try out lots of different formats and see what works best. In the early days at BuzzFeed Motion Pictures, Goldman said one of the ways producers learned what types of videos worked best was by holding races to see who could make the most successful video in one day. He plans to try a similar approach with news video. The team will create news videos optimized for social platforms, but BuzzFeed also wants to make video work better on its own properties. It’s redesigning its homepage and news app to allow for direct video playback. There’s a business imperative to the video push as well. 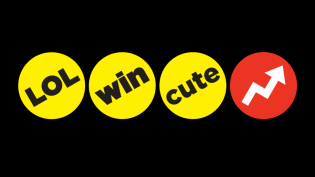 Last month, the Financial Times reported that BuzzFeed had missed its 2015 financial targets and cut its 2016 revenue target in half, from $500 million to $250 million. BuzzFeed denied the report. Regardless, there’s strong demand from advertisers for video spots. Thirty-five percent of BuzzFeed’s revenue was derived from video in the fourth quarter of 2015, up from 15 percent in the fourth quarter of 2014. 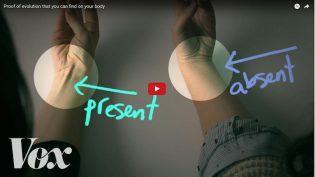 BuzzFeed has already begun experimenting with news video. Last fall, Goldman began teaching some news reporter to make 40-second news summary videos for Facebook. And a team of producers has already been working with reporters to turn video they shoot with their cellphones into slideshows or other types of video. In March, for instance, BuzzFeed News reporter Amanda Chicago Lewis published a lengthy story examining how African Americans were being left out of the boom in businesses surrounding the legalization of marijuana in states like Colorado. Goldman traveled to Denver and interviewed Lewis and many of her sources from the original piece to produce a nine-minute documentary that was posted in conjunction with the story. 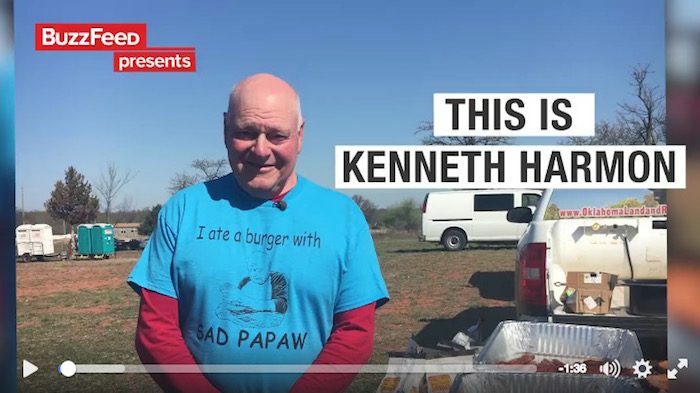 Also in March, BuzzFeed News reporter Tamerra Griffin traveled to Oklahoma to report on a barbecue thrown for Papaw, a grandpa who dominated social media after he cooked burgers for his grandkids and none of them showed up. In addition to writing a post for BuzzFeed’s website, Griffin shot video that was published on Facebook and now has nearly 3.5 million views. BuzzFeed’s goal isn’t to turn its reporters into videographers. While its news video team will produce different styles of standalone videos — ranging from documentaries to this type of video comparing how President Obama and Donald Trump speak about women — it also wants to find ways to easily incorporate video into its reporters’ workflows. Ultimately, Goldman said he wants to try out as many different things as possible while remembering that what they produce doesn’t need to be perfect. He said he regularly falls back on something BuzzFeed Motion Pictures president Ze Frank told him when he first started at BuzzFeed. POSTED May 23, 2016, 11:56 a.m.
Lichterman, Joseph. "BuzzFeed is building a New York-based team to experiment with news video." Nieman Journalism Lab. Nieman Foundation for Journalism at Harvard, 23 May. 2016. Web. 24 Apr. 2019. Lichterman, Joseph. "BuzzFeed is building a New York-based team to experiment with news video." Nieman Journalism Lab. Last modified May 23, 2016. Accessed April 24, 2019. https://www.niemanlab.org/2016/05/buzzfeed-is-building-a-new-york-based-team-to-experiment-with-news-video/.